Five months after his inauguration, Melania Trump and son Barron Trump have officially joined president Donald Trump at the White House. 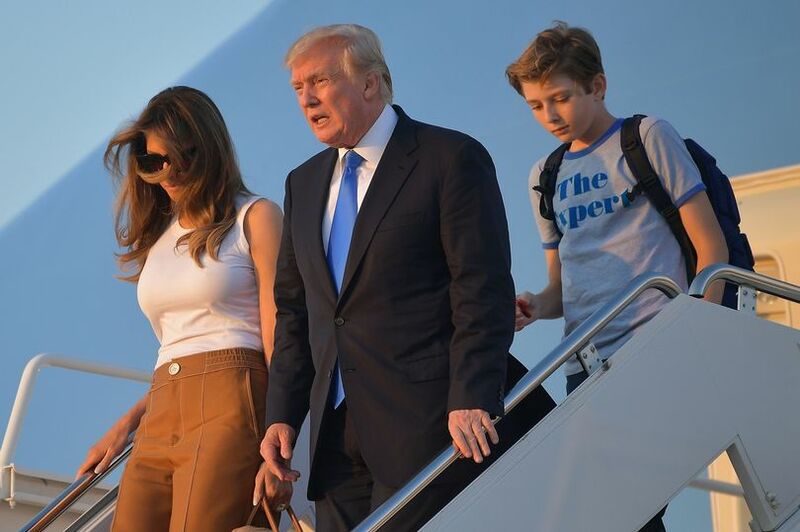 The First family were spotted arriving at Washington D.C.
Melania had revealed she and 11-year-old Barron chose to remain in New York,so he could finish his school year,a move which raised eyebrows. Mum and son arrived in Washington on Sunday, in what the media said was their official moving day at the presidential residence.